Vietnam PM flight appoints MGH for passenger and ramp handling — Citadel Pacific Ltd.
MIASCOR Ground Handling (MGH) extended support to the Vietnam Prime Minister flight during the 30th Association of Southeast Asian Nations (ASEAN) Summit. 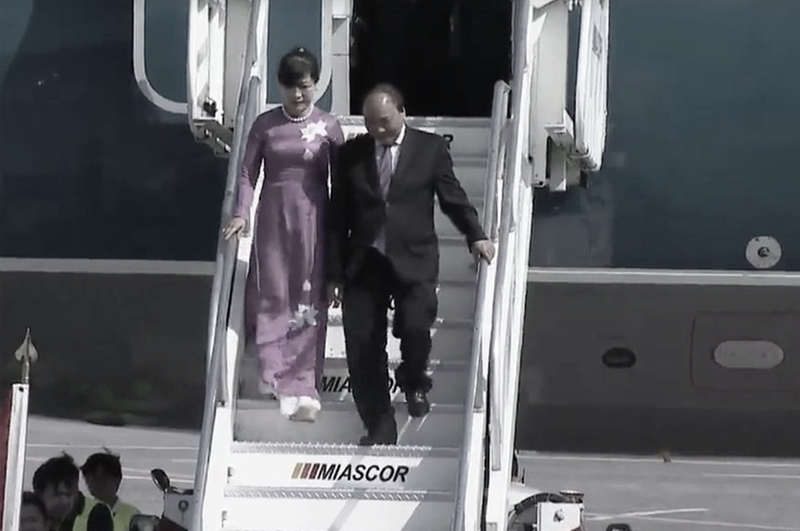 Passenger and ramp handling services were successfully carried out for Vietnam’s head of state, along with the group accompanying PM Nguyen Xuan Phuc, first lady Tran Nguyet Thu and other government officials. The flight also arrived with executives from flag carrier Vietnam Airlines. “Once again we are honored to be chosen by the government of Vietnam to handle the Prime Minister’s flight to the Philippines. Our VIP handling team ensured meeting all the requirements communicated to us. Having served Vietnam in the past certainly allowed us to manage this effectively and perform above expectations,” shares MIASCOR Head for Ground Handling Sales Rodi Sarile.